Lysol brands are very good for cleaning and disinfecting for eliminating germs. It leaves a fresh clean smell. I would recommend this product. I will continue due to use it. I really like the Cural Hydra Therapy wet skin lotion. I had never tried it before and I was pretty impressed. You put it on right after the shower before drying. You only need a little bit as it goes a long way. It locks in the moisture l day. I would recommend this product. It can be a little pricey but worth it. Garnier Skin active .micellar cleanser is one if the best makeup remover. It's not greasy and it removed all the eye makeup with no problem. Especially the water proof mascara. It can be a little pricey but it worth it. I highly recommend this product. I was a little disappointed with the lipstick from Physicians formula. Considering it was pretty expensive the taste of the lip stick was not very pleasant. It went on smooth and has a nice shine to it. My altime favorite color of all. Its looks natural a d last all day. I have a out 3 of the same color. I like the new style. The only thing from the other brands is that you have to wait until it drys to touch your lips. It only takes a few seconds. Yes I would recommend it. 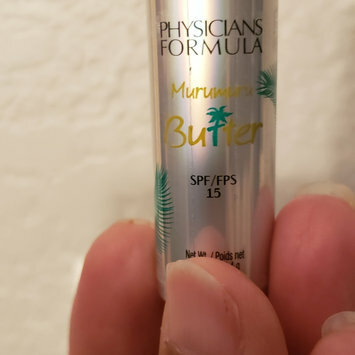 I use this product to sent my makeup and it looks great. It helps the makeup last longer. I've used other powders but I have notices that in always go back to beauty bakeries brand. The color fit my complextion a d the look was pretty natural.